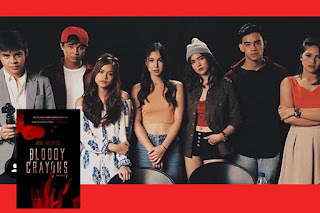 ‘Bloody Crayons’ opens today in movie theatres and it’s a suspense-thriller with many heart-pounding scenes that will leave the viewers gasping for breath. Some of Topel Lee’s past scary films are “Ouija”, “White House”, “Dilim”, “Basement”, “Sundo” and some episodes of the “Shake Rattle & Roll” franchise. What is the difference between making a suspense-thriller from the usual horror flicks he did? “Bloody Crayons” is based on a Wattpad series written by Josh Argonza. What changes did her make in the original material to transfer the story to the big screen? 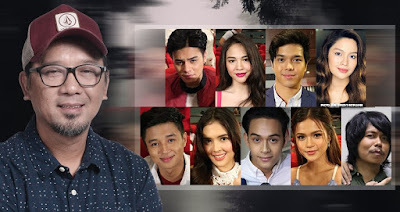 “The author gave us the go signal to make revisions to his story para mas bumagay ito as a movie. Ginawa namin yung Bloody Crayons game and incorporated it into the story. Binawasan namin yung characters. From 12, naging 9 na lang. Then we had to make other changes para maitago yung identity ng killer sa viewers kasi mahirap kung mahuhulaan agad kung sino yung murderer."